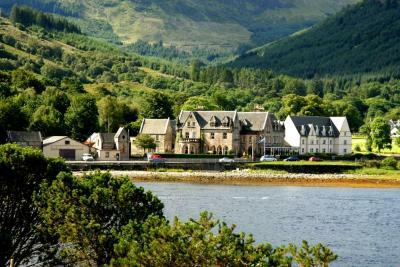 Lock in a great price for The Ballachulish Hotel - rated 8 by recent guests. The location is excellent, just by the loch. The restaurant. Restaurant staff and food were great, both at breakfast and dinner. Lovely traditional looking hotel. Welcoming and cosy reception & lounge areas. Fantastic view of the loch & mountains. Great location for hiking & sight seeing. Large, comfy bed. Very clean. Characterful, excellent restaurant, big room, great view, friendly. Good food and a nice scenic view from our table. Staff was very pleasant. Great big mansion directly near the sea. 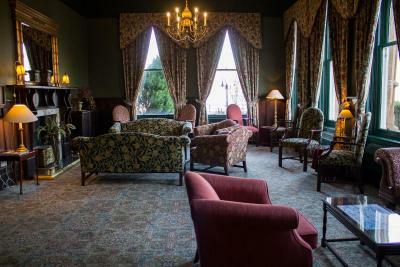 The old common room and entrance area gave us an impression of good old scotish times. Breakfast was great. Nice staff. Old but well maintained facility. Good food at dinner, the cod was the best I've ever had.. It was great they allowed us to have breakfast in the dining room before they opened because we had to leave early that morning.We drove to Fort Williams and then kept going up to Arisaig. The beach there was beautiful. The sunset was amazing at the beach and the sunrise as we got out of the hotel was breathtaking. All in all it was a good experience. Excellent location. Hotel comfortable and very clean. The staff were friendly and helpful. Food was in general very good. The rooms were large and well equipped. The hotel has a lounge area which has an open fire which guests can use to relax in and have a drink from the bar. We stayed 2 nights at the Ballachulish Hotel... the situation is perfect, with incredible views. You reach a lot of different “key” places in a short time. 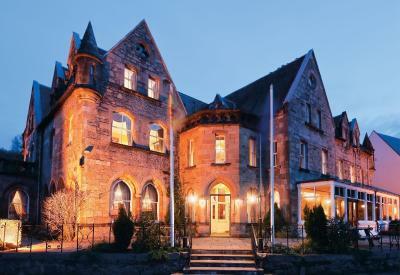 The hotel itself is full of charm, in an old victorian building. The room was very comfortable, clean and calm. The breakfast is really delicious. 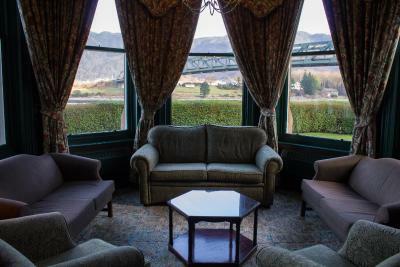 One of our top picks in Ballachulish.In a stunning location, between the mighty Glencoe Mountains, this baronial Highland hotel offers an irresistible blend of history and style with modern comforts and luxuries. The more adventurous can explore the west coast from this base, or discover many local activities and attractions, from golf to the great outdoors. The Ballachulish Hotel has been welcoming Booking.com guests since 15 Oct 2009. 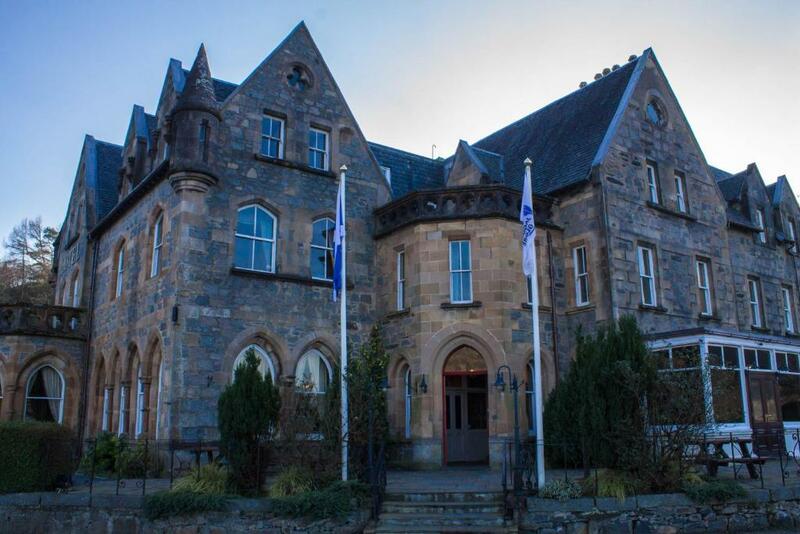 When would you like to stay at The Ballachulish Hotel? This room has a TV and tea and coffee making facilities. The en-suite bath or shower room has a selection of toiletries. 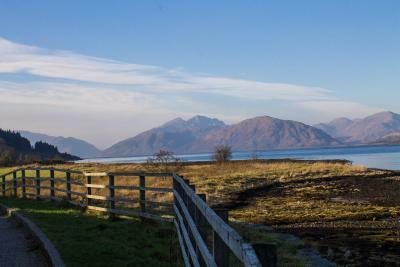 Featuring panoramic views of Loch Linnhe, this room offers a TV and tea and coffee making facilities. The en-suite bathroom has a selection of toiletries. This single room has an en-suite bath or shower room with toiletries provided. It features a TV and tea/coffee making facilities. House rules The Ballachulish Hotel takes special requests - add in the next step! The Ballachulish Hotel accepts these cards and reserves the right to temporarily hold an amount prior to arrival. The hotel can accommodate well behaved dogs, subject to prior request and approval by the property. Please contact the hotel directly in advance of your stay if you would like to book a meal. Luxuries such as flowers, champagne and chocolates can also be made available in your room (at an additional cost) by contacting the hotel in advance. The room had nothing to do at all with the pictures, very oldfashioned and not well preserved. The bathroom as well. The guests above us woke up at 5.30am and kept walking for almost two hours and the ceiling and floor let us hear every step of their particular marathon, so we couldnt sleep properly. The bed sheets were short so part of the matress remained uncovered. Bedroom decor was a little tired for the price & didn't fit with the traditional ambiance of the hotel. (e.g. water stained bathroom surfaces, messy paint work, main light bulb not working). Some easy fixes could bring the room up to a high standard. Looking a little tired, could usefully pay a little more attention to detail - room cleaned but left with no loo rolls - just little things - very apologetic and quick to put things right. Ran out of some items at breakfast even though still over 30 minutes of the advertised ‘window’ to go. The jazzucci bath was quite noisy so wasn't that relaxing (if you can complain about that haha). The strong shower wasn't adjustable in strength, temperature was. The bed was way too firm!!! I found lower rates online after I booked. I understand but I should have shopped around. I looked up on my phone to search a hotel in the area as I was on a road trip. I enjoyed the history of the area and the location was very good thou. The buffet breakfast was the only negative - food was often cold and overcooked.